This page contains background material provided to the attendees of a 2004 UPA workshop called "Yeah, I hear you: Why aren’t there more sounds and graphics in our applications?" It includes descriptions and definitions of visual and aural terms as well as a bibliography. Some of these materials were later turned into a training handout. Click here for a copy of the Real Rules (in Word), which is a one-page distillation of what we think is true about using sounds and graphics in interfaces. Harmony: In unison. Anything that is closely allied and not alien to its other parts is in harmony. Balance: The center of gravity. Symmetrical balance: A mirror image on either side of an axis or axes. It lacks variety but is useful for decorative patterns or formal compositions. Radial balance: Rotation around a central point. It always has movement (unlike symmetrical balance, which is static). Radial balance is chiefly used in decorative patterns or architectural plans. Occult balance: No central core. It uses opposing elements; there are no rules. Using occult balance well is a matter of sensitive judgment. It is the most difficult since it gives greater freedom but demands greater control of sizes and shapes. Radiation: Lines leading out from a center axis. Repetition: A pattern that is repeated. Alternation: To change direction, or to perform by turns. Transition: A change from one pattern to another. Contrast: A difference of form, color, dimension, or shape. Dominance: An outstanding feature in a design, usually the result of size or color. Subordination: The use of a smaller feature, color, or pattern in relation to other areas. Open form: An opening through which you can see space. Closure (or closed form): Lines or planes that enclose an open area. Opposition: When differences occur—for example, soft and hard edges or explosive vs. calm. Tension: An unresolved visual relationship between objects in a painting. The eye jumps back and forth between them without settling on a single point. Variety: Some dissimilarity between objects that creates interest. If line, area, volume, color, and texture are simply thrown together at random, they produce disorder and chaos. If they are organized and governed by the laws of harmony, balance, and rhythm, they become a design. Lines may be delicate or bold, angular or curved and flowing. They may be outlines; integral parts of the form that they describe and appearing only as the edges of areas; or free-flowing movements independent of a solid form. Area is surface. Two dimensions provide breadth. Tones may be spread over a surface, not limited to one dimension. Area is bounded by contour or shape. Volume (or three dimensions) is mass occupying space. It implies solid form and void (void, containing nothing, empty). Color is the quality of visible light reflected by a tone. A color has hue (which is the particular color reflected), value (which is lightness and darkness), and intensity (which is saturation of hue). To avoid monotony in color schemes, it is necessary to choose some warm colors and some cool colors. Complementary colors (the colors opposite each other on the wheel) provide the greatest hue contrast. The same amount of each color should not be used; one or more should dominate. Harmony can be achieved by a similarity of value, by a common neutrality or grayness, or by a common color. Colors can be used to express a mood. They may be very gay and bright or very subdued and quiet. They may be strong and blatant or delicate and pastel. Texture is the visual or tactile quality of a surface. The visual aspect of a surface is that which we see, while the tactile aspect of a surface is that which we feel (actually, as when we touch the surfaces of sculptures or canvases with thick surfaces of paint, or metaphorically, because we know what an item shown in a painting feels like). Shiny materials contrast with those that are dull. The cold of glass and metal differs tactilely from the warmth of wood. Opacity, translucence, and transparency are visual aspects of texture. We cannot see through opaque surfaces; we can see into but not through translucent surfaces; and we can see through transparent materials. Pitch–measured in Hertz (Hz), or vibrations per second. In music, pitches are given names and at least relatively standard settings. For example in North America, the standard for concert A is 440 Hertz. Orchestras tune to this pitch, the telephone dial tone is tuned to this pitch, etc. In Europe, however, the standard for concert A varies from 442-446 Hertz. Duration–measured in beats per minute, in music, using a tool called a metronome. Western musicians have a very specific system codifying how to notate beats and divisions of beats, though the system has changed significantly over the last 200 years, and is not in common use in many parts of world. Terminology for this system, however, varies greatly between Europe and North America. Timbre–a rather subjective term, referring to the way a particular tone sounds. Imagine, for example, the difference between an electronic bell, a large church bell such as Big Ben, and the sound of a doorbell or a Chinese gong (or Tam Tam). Or the difference between Bob Dylan's voice and the voice of Luciano Pavarotti in his heyday. Or the difference between a flute and a cello. Sometimes called tone. Volume–the loudness of the sound, which can be measured in decibels or bels. With these four aspects or attributes, it is possible to describe a sound (or in musical terms, a “note”) with some likelihood that another person of your culture would understand what you're describing, be able to identify it, and perhaps be able to reproduce it. However, accurate pitch recognition and duplication is rare within most populations (this is called “perfect pitch,” and there is some disagreement about whether or not it can be learned). Even among trained musicians, good relative pitch is much more common than perfect pitch. In constructing or choosing sounds for applications, it's important to remember that, since your users will likely not be able to tell the difference between two sounds based on the difference of pitch alone. There are many additional definitions that might be of use during the construction and selection of sounds for applications. This is not meant to be an exhaustive list, and the definitions are pretty basic. The bibliography includes links to good dictionaries that specialize in these terms. Frequency–basically the same as pitch, however the sound with any interest to it at all is made up of a fundamental (lowest) frequency and a set of overtones or harmonics. Pythagoras spent quite a lot of time studying the overtones series, and identified certain mathematical facts, which have not changed in the intervening time. Interval–the distance between two pitches. The distance from the lower note is spoken of as a second, third, fourth, etc., up to an octave, which vibrates approximately twice as fast as the starting note. Attack–the way a sound starts. This contributes to its timbre, and is largely made up of more or less white noise on examination of sound waves. In music, there are many types of attacks, including staccato (detached), legato (smooth and connected), portamento (between the two), pizzicato (plucked, as on a violin string), and others. Musicians have a whole set of different ways to start sounds, and they are very dependent on the instrument being played. The way a sound ends also has a name (decay) but it is not used much in music. Consonance–when two or more sounds (notes) sound good together. As you might imagine, this is culturally predetermined, and has very tremendously over the history of even Western music. Contrast with dissonance, which is used to describe when two sounds do not sound good together. Melody–a succession of notes that form a distinctive sequence. In older dictionaries, it says “A sweet or agreeable succession of sounds.” A motif is a little piece of melody used by a composer to build a larger composition. Gregorian chant consists only of melody, and later a second melody line was added; when the music consists of all melody lines, this is called polyphony. Harmony–the accompanying parts, often including chords, that underlies the melody. The same dictionary says, “Note: Melody consists in a succession of single tones; harmony is a consonance or agreement of tones, also a succession of consonant musical combinations or chords.” Of course, harmony need not always be underneath the melody, the melody could be in the middle somewhere. Rhythm–the movement of melody and harmony in time. Or “Movement in musical time, with periodical recurrence of accent; the measured beat or pulse which marks the character and expression of the music; symmetry of movement and accent” –Moore. Tempo–the speed of the music. For example, the same piece of music could be played fast and seem a very happy, bouncy sort of thing, or it could be played very slowly and seem like a dirge, without any other change to its melody, harmony or rhythm. The online Grove’s Dictionary (http://www.grovemusic.com), which is a subscription service, contains 45,000 articles on aspects of music, musicianship, and musicians. This very brief introduction necessarily leaves a whole lot out. Other than background music that is used in gaming, most current research into the use of sounds to assist with transfer of information concentrates on audio icons and earcons. The earliest citation of the word “earcon” seems to be from The Guardian in 1988 (http://www.wordspy.com/words/earcon.asp), though the research papers we've seen from ten years later are all talking about audio icons. In either case, the whole idea is to be multimodal. That means that you supply both a visual clue and, in this case, a sound clue to the purpose of the interaction that you're enabling. It seems that people have tried realistic sounds for the picture on the icons, for example. And they've tried to use small musical motifs (or motives), and there's been a fair amount of research done on how people deal with those. For example, just as most people cannot remember absolute pitches, they also cannot distinguish among motives that are too similar or too many sound clues that happen all the same time. However, there is interesting psychological research on how people filter out unnecessary sounds in social situations. There doesn’t seem to be much research yet on multiple sounds in applications, probably because there are not too many applications out there with that problem yet. With auditory icons, realistic or abstract sounds are mapped to events and interactions with entities in the interface. Auditory icons are recognizable sounds learned though experience and are used to identify the source of the sound. They can be used as direct representations of entity properties, but also as abstract or semi-abstract mappings. Earcons are generally not natural sounds, built from simple components – motives, and used to build structured sets of sounds (e.g. hierarchies) that are mapped to a particular aspect of the UI. The main problems with these two types of acoustic icons are recall, memorability over time, and the maximum perceivable sequence of auditory icons or of compound ear-cons. Furthermore, using a large number of auditory icons or using them out of context could bring similar problems . 1. Peek, Philip, “Re-Sounding Silences”. In Kruth, P. and Stobart, H., (Editors), Sound, Cambridge University Press, 2000. 2. Gaver, W. “The SonicFinder: An interface that uses auditory icons”. Human Computer Interaction, 4(1), 67-94, 1989. 3. Brewster, S.A., Wright, P.C. & Edwards, A.D.N. “Experimentally derived guidelines for the creation of earcons”. In Adjunct Proceedings of HCI'95, Huddersfield, UK, 1995. 4. Mynatt, E. Mynat. “Designing with Auditory Icons: How Well Do We Identify Auditory Cues?” In Proceedings of CHI'94, 1994. From Use of Sounds in Specialized User Interfaces: Group Modulation, Angel Janevski, Columbia University Computer Science Department, 2003. First, keep in mind that application design, even web page design, is impoverished compared to fine art and music, and that is as it should be. Art and music are complicated. Modern artists and musicians play with and experiment with the elements described above, combining or isolating them to see whether they gain or lose meaning. For example, minimalist Donald Judd used stacks of Plexiglas and metal boxes to show the box-ness of boxes. Musician Phillip Glass uses repeated tones, alone, to create walls of music. Good software design, however, uses the elements described above in support of information, not as ideas to manipulate for their own sakes. Color and line are restricted so that only the changes are noticeable; negative and positive space are used to separate the unimportant from the significant; sounds are used to get the user’s attention. When window designs, sounds, and visualizations go bad, the reason is often a confusion or misunderstanding of the design elements. In general, software designers need to create harmonic, balanced, and rhythmic backgrounds against which alarms and anomalies can emerge as “broken” elements. Second, we users are often more different than alike in our ways of taking in information. Learning style and multiple intelligences theories suggest that some people learn orally, others visually, others using written materials, and others kinesthetically. Our current interfaces, however, predominantly use read-write interactions. Finally, multi-sensory systems support fast, accurate reflexive action when needed. They can bypass the conscious mind and allow people to react instantaneously when necessary and to solve “insight problems”—tasks that are perceptual, complex, and nonverbal. General sites that have information about sound, music, or visuals. Some research papers on topics that might be interesting to attendees at this workshop. Some resources having to do with the particular problems and solutions for those with limited visual acuity of various kinds. Final note from Alice Preston: Because of overuse in my hands and shoulders, I dictated my part of this paper with ScanSoft’s Dragon NaturallySpeaking voice-recognition software. For that reason, and although I try to proofread carefully, there may be occasional misrepresentations of what I said. As our systems accommodate people of varying capabilities and add modes to the communications between computers (or other kinds of machines) and people, we will need to build in tolerance for these kinds of approximations. British Computer Society. “International Conference on Auditory Display '98.” 2003. http://ewic.bcs.org/conferences/1998/auditory/index.htm	(6 April 2004). International conference on auditory display in 1998. Department of Psychology, McGill University. “Home Page of the Auditory Research Laboratory.” April 1996. http://www.psych.mcgill.ca/labs/auditory/laboratory.html	(6 April 2004). McGill University Auditory Research Lab, where they’re studying how humans filter out unimportant sounds; they call this Auditory Scene Analysis. Glasgow Multimodal Interaction Group. “Welcome to the Earcons and Multimodal Interaction Group Home Page!” March 8, 2004. http://www.dcs.gla.ac.uk/~stephen/ (6 April 2004). A site summarizing the research into multimodal human-computer interaction and in the use of non-speech sounds to improve computer-human interaction. http://www.dcs.gla.ac.uk/~stephen/earconexperiment1/earcon_expts_1.shtml describes some of their earcon experiments. ICAD. “International Community for Auditory Display.” Oct. 26, 2003. http://www.icad.org/ (6 April 2004). A forum on using sound to display data, monitor systems, and provide enhanced user interfaces for computers and virtual reality systems. Shapiro, Kivi. “Graphics and Sound File Formats.” January 31, 1996. http://www.nlc-bnc.ca/9/1/p1-223-e.html (6 April 2004). Definitions of graphics and sound file formats from National Library of Canada. Nave, C.R. “Hyperphysics: Sound and Hearing.” 2003. http://hyperphysics.phy-astr.gsu.edu/hbase/sound/soucon.html#soucon (6 April 2004). Some basic traditional definitions of sounds. Oxford University Press. “Grove Music Online.” 2003. http://www.grovemusic.com (6 April 2004). A subscription service for the long-standing “king" of all music dictionaries. Updated annually. Sound and Video Analysis and Instruction Laboratory. “Glossary.” September 11, 2003. http://www.indiana.edu/~savail/workingpapers/glossary.html	(6 April 2004). Some basic definitions of aspects of sounds in musical and non-musical terminology. TechCorps. “webTeacher: Sound Files.” June 27, 2002. http://www.webteacher.org/winexp/sounds/sounds.html (6 April 2004). A pretty good “how-to” for sounds. Explains formats, something about how to create, etc. Jourdain, Robert. Music, the brain, and ecstasy: How music captures our imagination. New York: William Morrow and Co., Inc., 1997. Sloboda, John A. The Musical Mind: The cognitive psychology of music. Oxford: Oxford University Press, 1988. Van Bergeijk, Willem A., John R. Pierce, Edward E. David, Jr. Waves and the ear. Garden City, NY: Anchor Books, 1960. Bjur, Jona J. 1998. “Auditory icons in an information space.” play.tii.se/publications/1998/auditory.pdf (7 April 2004). Department of Industrial Design, School of Design and Craft, Göteborg University. Bloom, Jonathan. 2001. "Of mice and mouths: usability issues when combining speech and graphic user interfaces." Proceedings, Usability Professionals' Association Tenth Annual Conference, 2001. Bloomingdale, IN: UPA (CD-ROM). Brewster, Stephen A., Peter C. Wright and Alistair D. N. Edwards. 1993. “An evaluation of earcons for use in auditory human-computer interfaces. http://www.acm.org/pubs/articles/proceedings/chi/169059/p222-brewster/p222-brewster.pdf	(7 April 2004). From Department of Computer Science, University of York. Brewster, Stephen A., Veli-Pekka Raty, Atte Kortekangas. 1996. “Representing complex hierarchies with earcons.” http://www.threeimages.com/research/docs/ERCIM0595R037.pdf	(7 April 2004). Brewster, Stephen. Oct. 31, 2002. “All about earcons.” http://www.dcs.gla.ac.uk/~stephen/generalearcons/generalearcons1.shtml (7 April 2004). Bussemakers, Myra P., Abraham de Haan. 1998. “Using earcons and icons in categorisation tasks to improve multimedia interfaces.” http://www.icad.org/websiteV2.0/Conferences/ ICAD98/papers/BUSSEMAK.PDF (7 April 2004). From the Nijmegen Institute for Cognition and Information, Catholic University of Nijmegen. Conversy, S. 1998. “Ad-hoc synthesis of auditory icons.” ewic.bcs.org/conferences/1998/ auditory/papers/paper6.htm (7 April 2004). Conversy, Stéphane. 1998. “Wind and wave auditory icons for monitoring continuous processes.” http://www.lri.fr/~conversy/publications/chi98.pdf	(7 April 2004). From Laboratoire de Recherche en Informatique. Ellis, Dan. 2003. “Scene analysis for speech and audio recognition.” http://www.ee.columbia.edu/~dpwe/talks/MIT-2003-04.pdf (7 April 2004). From Laboratory for Recognition and Organization of Speech and Audio (LabROSA), Columbia University, New York. Fernström, Mikael, Eoin Brazil, Mark Marshall, Breege Moynihan. “Perceptual effectiveness of auditory icons.” http://www.soundobject.org/Helsinki_presentations/ PerceptualEffectivenessAuditoryIcons2.pdf (7 April 2004). From the Interaction Design Centre, University of Limerick, Ireland, ICAD 2001. Hankinson, John C. K., Alistair D. N. Edwards. 1999. “Designing earcons with musical grammars.” www-users.cs.york.ac.uk/~alistair/research/ dphil/jckh/sigcaph65/gramears.pdf (7 April 2004). From the Department of Computer Science, University of York. Janevski, Angel. 2003. “Use of sounds in specialized user interfaces: group modulation.” http://www1.cs.columbia.edu/~paley/spring03/assignments/HWFINAL/aj311/poster.pdf	(7 April 2004). Lemmens, Paul M. C., Myra P. Bussemakers, Abraham de Haan. 2001. “Effects of auditory icons and earcons on visual categorization: the bigger picture.” http://www.acoustics.hut.fi/icad2001/proceedings/ papers/lemmens.pdf (7 April 2004). From NICI, University of Nijmegen. Lemmens, Paul M.C., Myra P. Bussemakers, Abraham de Haan. 2000. “The effect of earcons on reaction times and error-rates in a dual-task vs. a single-task experiment.” http://www.icad.org/websiteV2.0/Conferences/ICAD2000/ PDFs/BussemakersDualTask.pdf (7 April 2004). From the Nijmegen Institute for Cognition and Information, University of Nijmegen. McGookin, David K., Stephen A Brewster. 2003. “An Investigation into the identification of concurrently presented earcons.” http://www.icad.org/websiteV2.0/Conferences/ICAD2003/paper/10%20McGookin.pdf (7 April 2004). From GIST, Department of Computing Science, University of Glasgow. Mynatt, Elizabeth D. 1995. “Transforming graphical interfaces into auditory interfaces.” http://citeseer.ist.psu.edu/mynatt95transforming.html (7 April 2004). Raman, T. V. Nov. 10, 2000. “Auditory icon themes for Emacspeak.” emacspeak.sourceforge.net/themes.html (7 April 2004). Winters, John Jacob. 1998. “An investigation of auditory icons and brake response times in a commercial truck-cab environment.” scholar.lib.vt.edu/theses/available/etd-43198-161912/unrestricted/etd.pdf (7 April 2004). http://www.aisquared.com/index.htm ZoomText tool, which both magnifies and reads aloud the text of pages and programs. http://emacspeak.sourceforge.net A powerful audio desktop for leveraging today's evolving semantic WWW. Includes different theme pages, including two based on the sounds of chimes and cartoons (http://emacspeak.sourceforge.net/themes.html). http://groups.yahoo.com/group/uvip/ Yahoo group (E-mail list) for visually impaired people who are interested in usability, or usability people who are interested in the problems of visually impaired people trying to use their interfaces. http://scansoft.com/ This company provides not only dictation software such as Dragon NaturallySpeaking and IBM ViaVoice, but also embedded speech products such as those used in automobiles and in network and telecom products. http://www.duxburysystems.com/resources/souren.asp A link to a page listing the makers of screen enlargement programs, including Super Nova (http://www.keyalt.com/vision/supernova.htm), MAGic (http://www.freedomscientific.com/fs_products/software_magic.asp), and Zoom (http://www.aisquared.com/index.htm). http://www.freedomscientific.com/fs_products/software_jaws5intro.asp JAWS for Windows, a popular screen reader for visually impaired users. http://www.gwmicro.com/ Window Eyes, another popular screen reader. http://www.inspiredcode.net/ A web site that provides not only some shareware for blind and visually impaired users. A couple of their shareware utilities are pretty interesting: 4BlindMice is a mouse-driven screen reader add-on that plays musical tones for X and Y position as you move the mouse and verbalizes icons as you pass over them, and Metris is a musical Tetris game. http://www.magnifiers.org/ Another site devoted to low vision users. AskART. 2004. “AskART: The artists’ Blue Book.” http://www.askart.com/ (7 April 2004). Information about 32,000 American artists. Berger, John. 1995. Ways of Seeing. New York: Viking Press. Bevlin, Marjorie Elliott. 1977. Design through Discovery. New York: Holt-Rinehart-Winston. Bonnici, Peter. 1999. Visual Language: The Hidden Medium of Communication. New York: Watson Guptill. Cleveland, William S. 1993. Visualizing data. Summit, NJ: Hobart Press. Cleveland, William S. 1994. The elements of graphing data. Summit, NJ: Hobart Press. Duro, Paul, Michael Greenhalgh. Jan. 1997. “Essential art history.” http://rubens.anu.edu.au/htdocs/teach/eah/ (7 April 2004). Fowler, Susan, Victor Stanwick. 2004. Web Application Design Handbook. San Francisco: Morgan-Kaufmann Publishing. Frayling, Christopher, Helen Frayling, Ron Van Der Meer. 1998. Art Pack. New York: Alfred A. Knopf. Harris, Robert L. 1999. Information graphics: A comprehensive illustrated reference. New York: Oxford University Press. Ivins, William M. 1964. Art & Geometry. New York: Dover Publications. Johnson, Jeff. 2003. Web Bloopers: 60 Common Web Design Mistakes and How to Avoid Them. San Francisco: Morgan Kaufmann Publishers. Krug, Steve. 2000. Don’t Make Me Think! A Commonsense Approach to Web Usability. Indianapolis, IN: New Riders Publishing. Lipman, Jean. Provocative Parallels. 1975. New York: E.P. Dutton & Co., Inc.
Mills, Vernon. 1967. Making Posters. New York: Watson Guptill. Nicolaides, Kimon. 1969. Natural Way to Draw. Boston, MA: Houghton Mifflin Co.
Scott, Robert. 1951. Design Fundamentals. New York: McGraw-Hill. Tee-Vee.com. 2003. “Graphic design dictionary.” http://www.graphicdesigndictionary.com/ (7 April 2004). Tufte, Edward R. 1997. Visual explanations. Cheshire, CT: Graphics Press. Tufte, Edward R. March 20, 2000. “Project management graphics (or Gantt charts).” Ask E.T. http://www.edwardtufte.com/bboard/q-and-a-fetch-msg?msg_id=000076&topic_id=1&topic=Ask%20E%2eT%2e	(accessed 23 July 2003). Ware, Colin. 2000. Information visualization, perception for design. San Francisco: Morgan Kaufmann Publishers. Weinman, Lynda. 1996-2003. "The web-safe color dilemma." Lynda.com: Education by creative professionals. http://www.lynda.com/hex.html	(accessed 28 March 2002). Wilde, Judith, Richard Wilde. 1991. Visual Literacy: A Conceptual Approach to Graphic Problem Solving. New York: Watson Guptill. Klein Associates: http://www.decisionmaking.com/ (accessed 21 November 2002). Klein, Gary. 1999. Sources of power: How people make decisions. Cambridge, MA: MIT Press. LeCompte, Denny C. August 2000. “3.14159, 42, and 7 ± 2: Three numbers that (should) have nothing to do with user interface design.” Internetworking. 3(2):1–5. http://www.internettg.org/newsletter/aug00/article_miller.html	(accessed 3 October 2003). MacEachren, Alan M. 1995. How maps work: Representation, visualization, and design. New York: Guilford Publications. Miller, George. 1956. “The magical number seven, plus or minus two: Some limits on our capacity for processing information.” Psychological Review. 63:81–97; also available online at http://www.well.com/user/smalin/miller.html (accessed 14 November 2002). Myers, David G. 2002. Intuition: Its powers and perils. New Haven, CT: Yale University Press. Clark, Joe. 2002. Building accessible websites (with CD-ROM). Indianapolis, IN: New Riders. Klementiev, Dmitri. April 2000. “Software driving software: Active accessibility-compliant apps give programmers new tools to manipulate software.” MSDN Magazine. http://msdn.microsoft.com/msdnmag/issues/0400/aaccess/default.aspx	(accessed 23 October 2003). Kuusisto, Stephen. 1998. Planet of the blind: A memoir. New York: Bantam Doubleday Dell Publishing Group, Inc.
Mayer, Tommye-K. 1996. One-handed in a two-handed world: Your personal guide to managing single-handedly. Boston: Prince-Gallison Press. Mooney, Jonathan, David Coles. 2000. Learning outside the lines: Two Ivy League students with learning disabilities and ADHD give you the tools for academic success and educational revolution. New York: Simon & Schuster. Mueller, John Paul. 2003. Accessibility for everybody: Understanding the Section 508 accessibility requirements. Berkeley, CA: Apress LP. Nielsen, Jakob. Oct. 1996. “Accessible design for users with disabilities.” Useit.com Alertbox. http://www.useit.com/alertbox/9610.html (accessed 29 August 2003). Nielsen, Jakob. June 13, 1999. “Disabled accessibility: The pragmatic approach.” Useit.com Alertbox. http://www.useit.com/alertbox/990613.html (accessed 29 August 2003). Nielsen, Jakob. Oct. 14, 2002. “Making Flash usable for users with disabilities.” Useit.com Alertbox. http://www.useit.com/alertbox/20021014.html	(accessed 26 October 2002). Nielsen, Jakob. Nov. 11, 2002. “Beyond accessibility: Treating users with disabilities as people.” Useit.com Alertbox. http://www.useit.com/alertbox/20011111.html	(accessed 29 August 2003). Paciello, Michael G. 2000. Web accessibility for people with disabilities. Lawrence, KS: CMP Media, Inc.
Ray, Deborah S., Eric J. Ray. “Adaptive technologies for the visually impaired: The role of technical communicators.” Technical Communication. 45(4):573-579. Sacks, Oliver. 1984. A leg to stand on. New York: Harper & Row Publishers. Sacks, Oliver. 2000. Seeing voices: A journey into the world of the deaf. New York: Vintage Books. Sacks, Oliver. July 28, 2003. “A neurologist’s notebook; The mind’s eye: What the blind see.” New Yorker. Pp. 48–59. Thatcher, Jim, Cynthia Waddell, et al. 2003. Constructing accessible websites. Berkeley, CA: Apress LP. 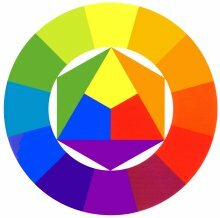 Bob Stein’s Visibone, “Color-deficient vision, simulation in the web designer's color card and chart” and links to other information about color confusions: http://www.visibone.com/colorblind/. BT Exact Technologies, “Safe web colors for color-deficient vision,” http://more.btexact.com/people/rigdence/colours/. Diane Wilson, “Color vision, color deficiency,” http://www.firelily.com/opinions/color.html. ErgoGero Human Factors Science, ”Color and design SBFAQ,” http://www.ergogero.com/FAQ/cfaqhome.html. HP color contrast verification tool: http://h10014.www1.hp.com/accessibility/color_tool.html. Sacks, Oliver. 1997. The island of the color-blind and Cycad Island. New York: Alfred A. Knopf, Inc.
Wolfmaier, Thomas G. March 1999. “Designing for the color-challenged: A challenge.” Internetworking. http://www.internettg.org/newsletter/mar99/accessibility_color_challenged.html	(accessed 29 August 2003). World Wide Web Consortium’s “Techniques for accessibility evaluation and repair tools,” which includes an algorithm for testing color contrast: http://www.w3.org/TR/AERT#color-contrast. Zorpette, Glenn. December 13, 2000. “Looking for Madam Tetrachomat.” Red Herring Magazine. http://redherring.com/mag/issue86/mag-mutant-86.html	(accessed 29 August 2003). Chadwick-Dias, Ann. 1st Quarter, 2002. “How age affects user performance on the Web.” Usable Bits. http://hid.fidelity.com/q22002/age.htm (accessed 28 October 2003). Chadwick-Dias, Ann. 3rd Quarter, 2002. “Web usability and age: An update.” Usable Bits. http://hid.fidelity.com/q22002/age.htm (accessed 28 October 2003). Nielsen, Jakob. April 28, 2002. “Usability for senior citizens.” Useit.com Alertbox. http://www.useit.com/alertbox/20020428.html (accessed 29 August 2003). ERwin Data Modeler from Computer Associates. “AllFusion ERwin Data Modeler is a powerful database development tool, automatically generating tables and thousands of lines of stored procedure and trigger code for leading databases.” See http://www3.ca.com/ (accessed 7 May 2003) for more information. Oracle Designer from Oracle. “Oracle9i JDeveloper lets J2EE developers take advantage of UML modeling directly from their integrated development environment…. Oracle9i Designer models business processes, data entities and relationships. Models are transformed into designs from which complete applications and databases are generated.” See http://www.oracle.com/ (accessed 7 May 2003) for more information. Rational Rose Professional Data Modeler from IBM. “In the past, data modelers have used ER notation to describe the database and data access, while developers and business analysts use the Unified Modeling Language (UML), the standard notation for software architecture, for design and use case modeling. By integrating the modeling environment with the database design environment, Rose Professional Data Modeler maps the object and data models, tracking changes across business, application and data models.” See http://www.rational.com/ (accessed 7 May 2003) for more information.